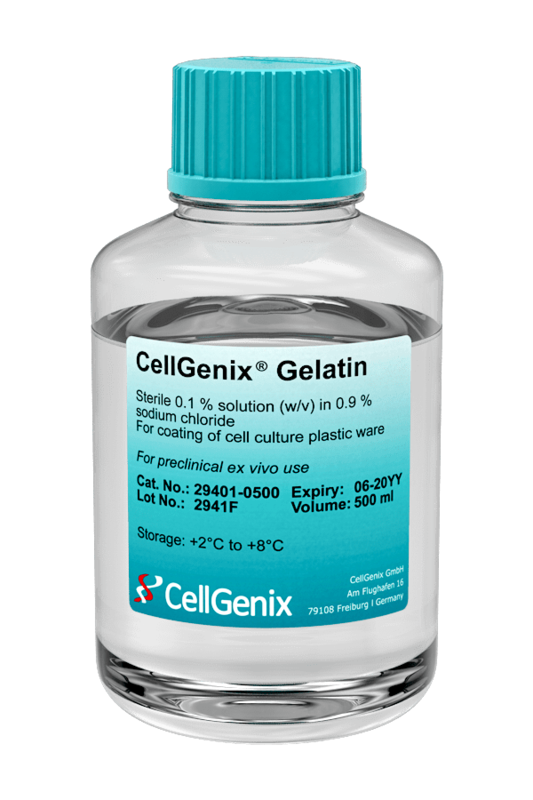 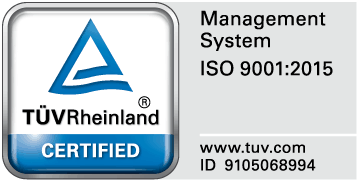 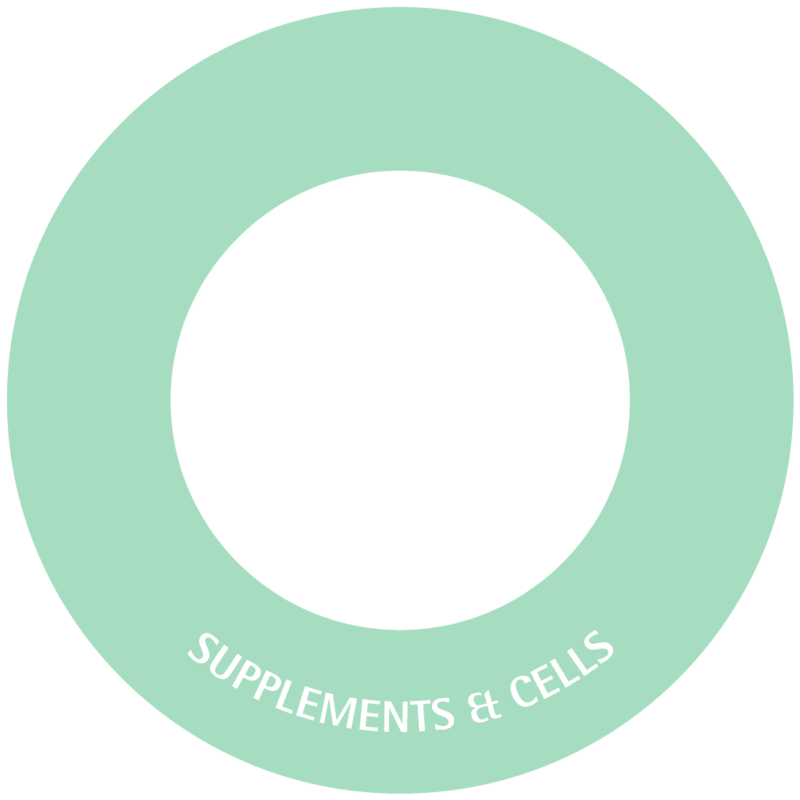 CellGenix high quality raw materials are complemented by two easy handling solutions; a ready to use gelatin and xeno-free human umbilical cord mesenchymal stem cells (hUC-MSCs). 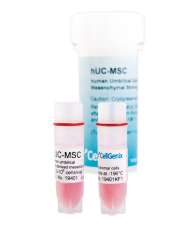 CellGenix offers a complete solution for ex vivo expansion of hUC-MSCs. 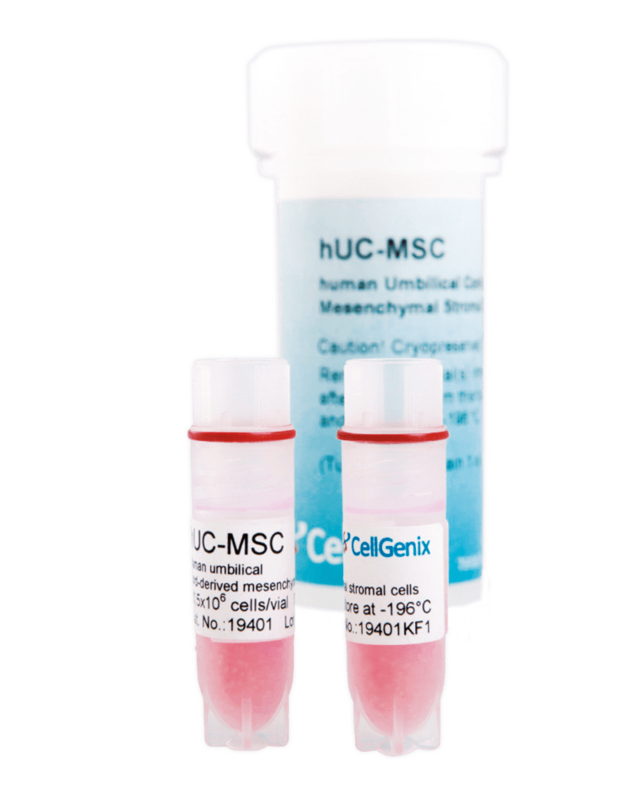 Next to an optimized serum-free CellGenix MSC Medium and growth factors (CellGenix rh EGF, CellGenix rh FGF-2, CellGenix rh PDGF-BB), we offer isolated hUC-MSCs with a high proliferation rate and preclinical grade gelatin to improve cell attachment of hUC-MSCs.